Scrolling through a website filled with thousands of Bible studies, Executive Pastor Jared Maier of Rheas Mill Baptist Church, clicks on a photo of Heisman Trophy winner Tim Tebow. The study, an inspirational series of videos where Tebow shares stories from his life “to illustrate what it means to seize each day for God’s glory” is part of RightNow Media’s original, video-based, online content. Maier regularly uses items from the library to augment their midweek small-group Bible studies. 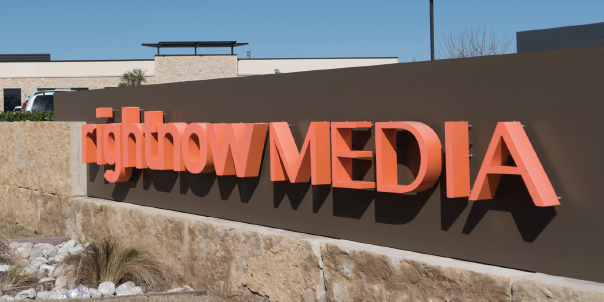 Just a few miles south, the crew at RightNow Media is busy planning a one-day livestream event which will connect people from around the nation with well-known Bible teacher Francis Chan, business tycoon Steve Green, the outspoken Christian and President of Hobby Lobby and others. This annual conference and webcast are just one of the many high-tech productions originated from their Collin County headquarters. “Our passion is to help people live out their faith in their neighborhoods, offices, schools, homes and around the world,” said RightNow Media President Brian Mosley. The video production company began 40 years ago as Mosley’s grandfather documented the work of missionaries for churches. Today, the company is a giant in the world of Christian multimedia, serving over 15,000 churches, ministries and Christian business owners. Brian Mosley, CEO of McKinney-based RightNow Media. Mosley says their niche audience is small-to-medium-sized churches because they have fewer resources than churches with large paid staffs. And, while the company has been supporting churches for years through VHS tapes, and then DVDs, the explosion of the internet and the ability to stream video content directly to an individual’s computer, tablet, or smartphone has revolutionized their business model. 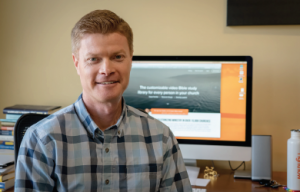 “Suddenly, we are able to serve the pastors, and the small groups, and youth groups and children, and families and people at every age and stage,” said Mosley, who added that RightNow Media does not replace church workers, but supplements limited church staff and volunteers. CBA Executive Director Vince Smith and RightNow Media’s Phillip Bleecker discuss the partnership between CBA and RightNow in the McKinney studio prior to shooting some promotional materials about how RightNow Media can help churches and associations. RightNow Media is partnered with the CBA Church Network and offers free accounts for CBA pastors and discounts for CBA churches. For more information, contact Phillip Bleecker at phillip@rightnow.org.